SCVHistory.com LW3215 | Film-Arts | John Carradine in 'Voodoo Man' with Bela Lugosi, Placerita Canyon, 1944. 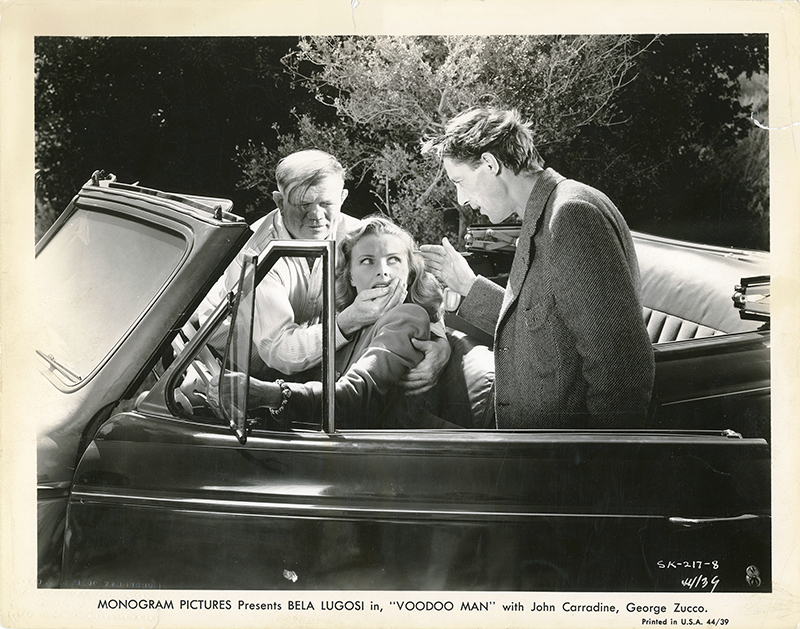 (From left) Pat McKee, Wanda McKay and John Carradine find themselves on Placerita Canyon Road in one of the infrequent outdoor scenes in the 1944 Bela Lugosi vehicle from Monogram, "Voodoo Man." According to Johnny White, whose grandfather, character actor Dan White, played a deputy in the film, all outdoor "road" scenes were shot on Placerita Canyon Road near the Monogram (later Melody) Ranch movie studio. May be distributed only by poster companies duly licensed by N.S.S. 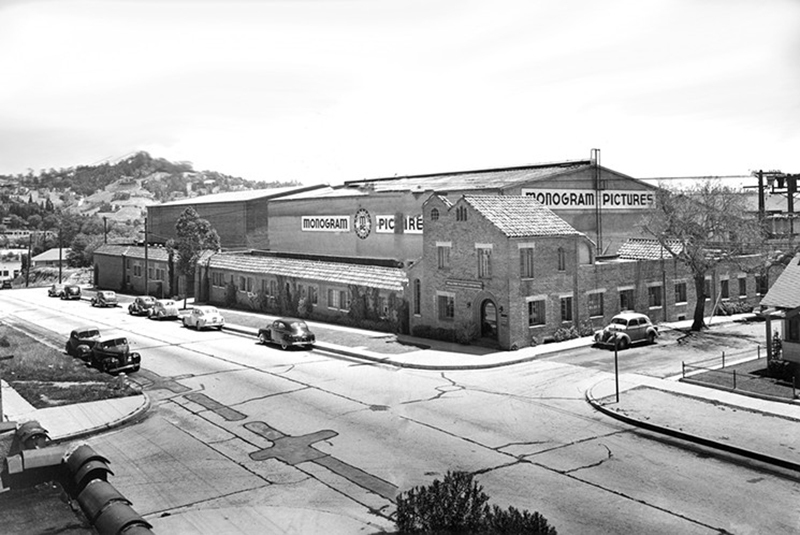 Corp.
LW3215: 9600 dpi jpeg from original photograph purchased 2018 by Leon Worden.